LOS ALAMOS, NM, October 11, 2018 — Dugan's Travels is pleased to announce their live event schedule for 2019. Coined “The Celebration Year: An Event 20 Years in the Making,” Dugan's Travels will host 5 separate events throughout the country, all of which provide professional development opportunities for their hosted independent agents. The Celebration Year series kicks off with the agency's flagship event, Dugan's University @ Anaheim, February 28 – March 3, 2019. This event will bring together Dugan's hosted agent members and supplier partners for a week of educational panels and networking opportunities. Midway through the year, in July 2019, Dugan's Travels will host their first ever Family Cruise on board Royal Caribbean's Mariner of the Seas. This event is open to all active Dugan's Travels agents and their families. During September 2019, Dugan's Travels' Five Star agents will attend an annual retreat aboard the Island Princess. Five Star Agents is a recognition program that rewards Dugan's Travels' top performers; agents are selected based on their service to clients, sales, and commissions during a 12-month period. Dugan's University Travels To…Orlando will be the 4th event of the Celebration Year, and the third event created under the Dugan's University Professional Development series. Much like its larger counterpart on the West Coast, Dugan's University Travels To…Orlando will bring Dugan's Travels' hosted agents and supplier partners together from November 13 – 17, 2019 to engage in learning and networking activities. 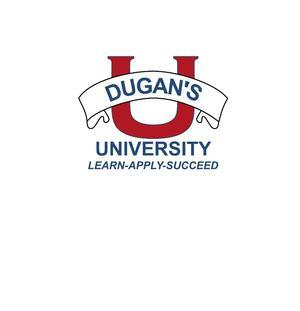 Dugan's Travels' Celebration Year concludes with the Dugan's University Boot Camp at Walt Disney World from November 17 – 22, 2019. An agency exclusive, the DU WDW Boot Camp is a professional mentorship event that provides an immersive experience to those hosted agents interested in pursuing the WDW niche. Dugan's Travels is a hosting agency for independent travel agents and is a member of IATAN, CLIA, ARC, NACTA, PATH and Travel Leaders Network. Jennifer Dugan, a travel agent since 1994, started Dugan's Travels to be a work-at-home mom yet remain a part of the travel industry. Dugan's offers agents the ability to build a business while working at home and offers both low startup costs and a generous commission split. For more information please visit www.travelathome.com.